TWC-Dimension has revealed the new trailer for Regression, which you can watch below. 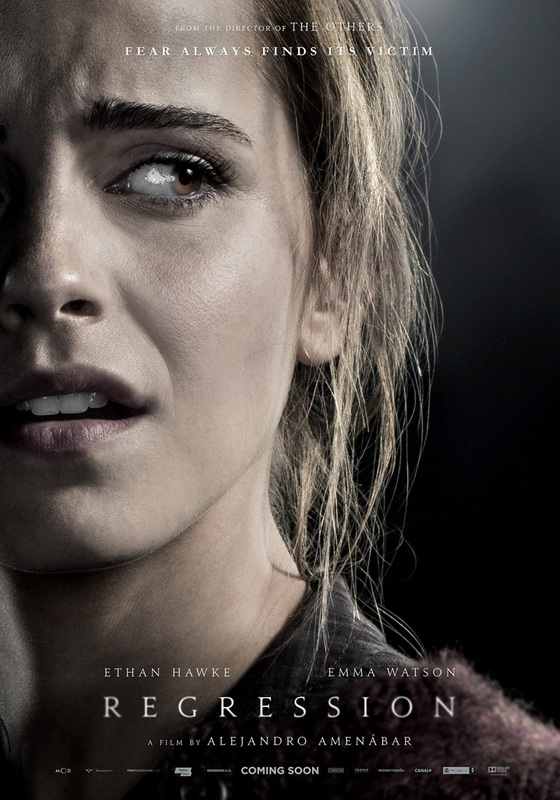 The thriller, from Academy Award winner Alejandro Amenábar (The Sea Inside, The Others), stars Ethan Hawke and Emma Watson. Set in Minnesota in 1990, Regression follows detective Bruce Kenner (Hawke) as he investigates the case of young Angela (Watson), who accuses her father, John Gray (David Dencik), of an unspeakable crime. When John unexpectedly and without recollection admits guilt, renowned psychologist Dr. Raines (David Thewlis) is brought in to help him relive his memories and what they discover unmasks a horrifying nationwide mystery. The film also stars Dale Dickey, Lothaire Bluteau and Devon Bostick. The creative team includes production designer Carol Spier, director of photography Daniel Aranyó, costume designer Sonia Grande, casting directors Jina Jay and VFX supervisor Felix Bergés. 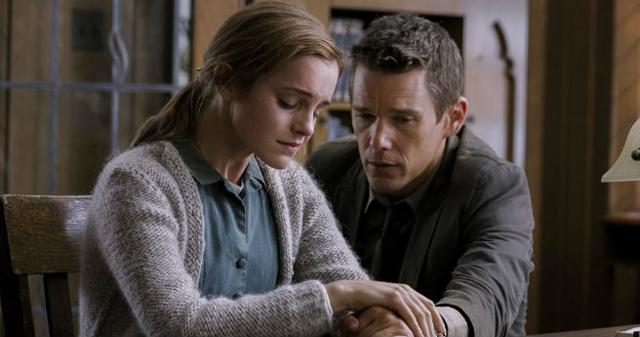 Based on Amenabar’s original screenplay, Regression is produced by MOD Entertainment, MOD Producciones, Himenóptero, First Generation Films and Telefónica Studios in association with FilmNation Entertainment, with the participation of Telefilm Canada and in collaboration with Mediaset España. The film will be released in theaters on August 28.